Καθηγητής, Γνωστικό αντικείμενο ‘’Επιστήμη και Τεχνολογίες της Πληροφορίας και των Επικοινωνιών στην Εκπαίδευση’’ (ΦΕΚ 1196 τ. Γ’/8-11-2012). 1994-2003: Άμισθος επιστημονικός συνεργάτης του Εργαστηρίου Πολυμέσων και Εικονικής Πραγματικότητας του Παιδαγωγικού Τμήματος Δημοτικής Εκπαίδευσης του Πανεπιστημίου Ιωαννίνων, σε θέματα Διδακτικής Πληροφορικής και εφαρμογής των ΤΠΕ στην εκπαιδευτική διαδικασία. Πτυχίο Φυσικής από το Πανεπιστήμιο Ιωαννίνων (1980-1984). Ειδικός Μεταπτυχιακός Υπότροφος (ΕΜΥ) στο Τμήμα Φυσικής του Πανεπιστημίου Ιωαννίνων (1985-1991). Φοίτηση στο μεταπτυχιακό πρόγραμμα του Τμήματος (1986-1987) και εκπόνηση διδακτορικής διατριβής στο Τμήμα Φυσικής του Πανεπιστημίου Ιωαννίνων (1987-1991). Εκπαιδευτικά λογισμικά (συντονιστής της ομάδας ανάπτυξης): δύο (2). Koukis, N., & Jimoyiannis, A. (2019). MOOCS for teacher professional development: exploring teachers’ perceptions and achievements. Interactive Technology and Smart Education, 16(1). Vrachnos, E., & Jimoyiannis, A. (2017). Secondary education students’ difficulties in algorithmic problems with arrays: An analysis using the SOLO taxonomy. Themes in Science and Technology Education, 10(1), 31-52. Tsiopela, D., & Jimoyiannis, A. (2017). Pre-Vocational Skills Laboratory: Designing interventions to improve employment skills for students with autism spectrum disorders. Universal Access in the Information Society, 16(3), 609–627, DOI: 10.1007/s10209-016-0488-6. Jimoyiannis, A., & Tsiotakis, P. (2017). Beyond students’ perceptions: Investigating learning presence in a community of educational blogging. Journal of Applied Research in Higher Education, 9(1), 129-146. Jimoyiannis, A., & Roussinos, D. (2017). Students’ collaborative patterns in a wiki project: Towards a theoretical and analysis framework. Journal of Applied Research in Higher Education, 9(1), 24-39. Jimoyiannis, A., & Tsiotakis, P. (2016). Self-directed learning in e-portfolios: Analysing students’ performance and learning presence. EAI Εndorsed Τransactions on e-learning. Tsiotakis P. & Jimoyiannis A. (2016). Critical factors towards analysing teachers’ presence in on-line learning communities. The Internet and Higher Education, 28, 45-58. Roussinos D. & Jimoyiannis A. (2013). Analysis of students’ participation patterns and learning presence in a wiki-based project. Educational Media International, 50(4), 306-324. Τζιμογιάννης, Α. (2017). Ηλεκτρονική Μάθηση: Θεωρητικές προσεγγίσεις και εκπαιδευτικοί σχεδιασμοί. Αθήνα: Εκδόσεις Κριτική. Boyle, E., Baalsrud Hauge, J., Leith, M., Sim, D., Hummel, H., Jandrić, P., & Jimoyiannis, A. (2018). Games and Learning Alliance. Lecture Notes in Computer Science Book Series, vol. 11385, 191-200. Springer. Tsiopela, D., & Jimoyiannis, A. (2018). Using a web-based environment to enhance vocational skills of students with autism spectrum disorder. In T.A. Mikropoulos (Ed.). Research on e-Learning and ICT in Education: Technological, Pedagogical and Instructional Perspectives (pp. 381-395). New York: Springer. Jimoyiannis, A., Schiza, E. I., & Tsiotakis, P. (2018). Students’ self-regulated learning through online academic writing in a course blog. In D. Sampson et al. (Eds. ), Digital Technologies: Sustainable Innovations for Improving Teaching and Learning. New York: Springer. Jimoyiannis, A., & Tsiotakis, P. (2016). Self-directed learning in e-portfolios: Design issues and investigation of students’ performance. In G. Vincenti, A. Bucciero & C. Vaz de Carvalho (eds.). eLEOT2015, LNICST 160 (pp. 126-134). New York: Springer. Jimoyiannis A. (2015). TPACK 2.0: Towards a Framework Guiding Web 2.0 Integration in Educational Practice. In Dr. M.S. Khine (Ed.). New Directions in Technological Pedagogical Content Knowledge Research Multiple Perspectives (pp. 83-108). Charlotte, NC: Information Age Publishing. 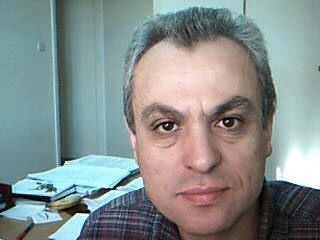 Jimoyiannis A. (2015). Digital Literacy and Adult Learners. In M. J. Spector (ed. ), The SAGE Encyclopedia of Educational Technology SAGE Publications, Inc.
Angelaina S. & Jimoyiannis A. (2011). Educational blogging: Developing and investigating a students’ community of inquiry. In A.
Jimoyiannis (ed. ), Research on e-Learning and ICT in Education (pp. 167-180). New York: Springer. Roussinos, D., & Jimoyiannis, A. (2018). Exploring primary education teachers’ perceptions of their Technological Pedagogical and Content Knowledge. Proceedings of the 1st World Congress on Inspired Education, 1-2 December, Treviso, Italy. Mastorodimos, D., Chatzichristofis, S. A., Jimoyiannis, A., & Christodoulou, K. (2018). Making Sense of Fractions using E-learning Platforms-A Survey. Proceedings of the 2018 IEEE International Conference on Innovations in Intelligent Systems and Applications (INISTA 2018). Thessaloniki, Greece. http://www.inista.org. Boyle, E., Baxter, G., Jimoyiannis, A., Leith, M., Sim, D., van der Zwet, A., Scott, G., Terras, M., Tsiotakis, P., Hummel, H., Hauge, J., & Jandrić, P. (2018). The Design of the RU EU? game: A game-based approach to help students’ exploring of European identity and values. Proceedings of the Technology and Innovation in Learning, Teaching and Education Conference, TECH-EDU 2018, 20-22 June 2018, Thessaloniki, Greece. Jimoyiannis, A., & Tsiotakis, P. (2018). Students’ engagement and peer interaction in on-line academic writing through a course blog. Proceedings of the Technology and Innovation in Learning, Teaching and Education Conference, TECH-EDU 2018, 20-22 June 2018, Thessaloniki, Greece. Koukis, N., & Jimoyiannis, A. (2017). Designing MOOCs for teacher professional development: Analysis of participants’ engagement and perceptions. In A. Mesquita & P. Peres (Eds. ), Proceedings of the 16th European Conference on e-Learning, ECEL 2017 (pp. 271-280), Porto: Academic Conferences and Publishing International. Koutsodimou, K., & Jimoyiannis, A. (2015). MOOCs for teacher professional development: investigating views and perceptions of the participants. Proceedings of the 8th International Conference of Education, Research and Innovation – ICERI 2015 (pp. 6968-6977), 16–18 November 2015, IATED: Seville, Spain. Bakouli V., & Jimoyiannis A. (2014). Concept mapping as cognitive tool in science education: An analysis of students’ learning using SOLO taxonomy. Proceedings of the 1st International Conference on “New Developments in Science and Technology Education”, 29-31May, 2014, Corfu, Greece. 2017-2018: Μέλος της Ομάδας Έργου και Επιστημονικός Υπεύθυνος για το Πανεπιστήμιο Πελοποννήσου του Έργου «RU EU? A game-based approach to exploring 21st century European Identity and Values» το οποίο εντάσσεται στο Πρόγραμμα Erasmus+, Δράση KA203 Strategic Partnerships - Cooperation for innovation and the exchange of good practices. 2011-12: Επιστημονικός Υπεύθυνος του Έργου «Υλοποίηση της Επιμόρφωσης Επιμορφωτών», ΠΑΚΕ Πανεπιστημίου Πελοποννήσου. Το πρόγραμμα εντάσσεται στην Πράξη "Επιμόρφωση των εκπαιδευτικών για την αξιοποίηση και εφαρμογή των ΤΠΕ στη διδακτική πράξη" του επιχειρησιακού προγράμματος "Εκπαίδευση και Δια Βίου Μάθηση" το οποίο συγχρηματοδοτήθηκε από το ΕΣΠΑ & ΕΚΤ. Μέλος Επιστημονικών Επιτροπών και κριτής σε πολλά διεθνή επιστημονικά περιοδικά και επιστημονικά συνέδρια.